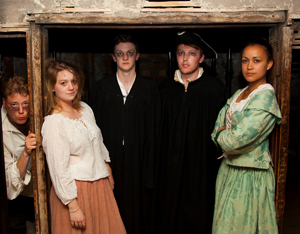 After last year’s rave reviews, The Dark Truth Tour returns to The Real Mary King’s Close this August with a new spin dedicated to death and decay. 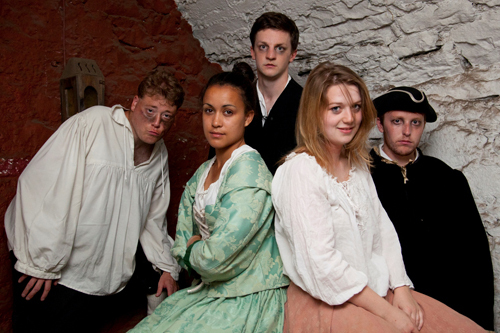 From the 1st – 24th August Thursdays to Sundays at 10.30pm, the warren of underground streets beneath the Royal Mile will come alive for this exclusive late night Fringe event where visitors will witness some of the most dark and deadly deeds that took place in Edinburgh’s Old Town from the 16th to the 20th century. From adulterous spirits that rose from their death to those who caused it, this interactive tour will take guests on a journey exposing the darker characters from Edinburgh’s murky past. Expect to learn about the painful use of pillywinks on ‘witches’ and the horrifying hauntings of house 17, meeting along the way some of Edinburgh’s lesser known victims and more infamous villains. With a wicked comedy edge, characters including Half-Hangit Maggie and the notorious body snatchers Burke and Hare are brought to life in a show that weaves disturbing and dark with fun and frivolous. As you delve deep into the City’s underbelly coming face to face with its shadowy souls, will you be deemed a witch or find yourself a healthy candidate for the anatomist’s table? Tickets are available now online or by calling 0845 070 6244. Admission £17.50. Tour lasts 1 hour. Suitable for ages 16+. Walking involved, uneven surfaces, steep inclines. No latecomers. Limited availability.